How Much Is Your Illinois Truck Accident Case Worth? We often hear their rumble and tumble well before we see them. They have their own lanes and weigh stations and are not allowed onto quiet streets, and for good reason! Trucks are a fact of life. We have to put up with them. They carry millions of things around the country and are a significant vein of the national economy. However, maybe because of their high numbers, or perhaps because of their complexity, trucks are frequently at the center of some of the most severe and costly accidents. Rosenfeld Injury Lawyers LLC has represented many people involved in various kinds of trucking accidents across Illinois involving: motorists, pedestrians, bicyclists, motorcyclists and even other truckers. We understand that while the law is a complex series of institutions, rules, and procedures, the endgame for you is simple. You need recovery. You need the person or company who caused the truck accident to pay for your medical bills, lost wages, disability, disfigurement, and other damages. You can count on us to stand up for you in the critical hours, days, and weeks after your accident to ensure that your recovery does not vanish. In fact, we can work to make sure that it is maximized. To give you a sense of what that process looks like, we put some information below on the laws surrounding truck accidents and the awards that other victims have recovered. This should give you a good lay of the land of Illinois truck accident law. 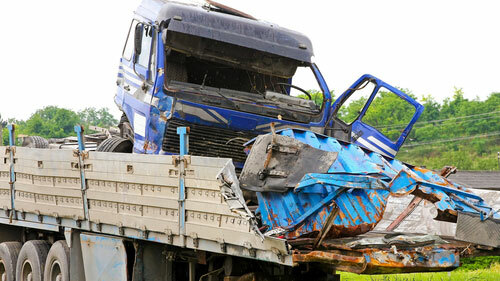 Illinois truck accidents are governed by the law of negligence. Negligence actions allege that someone or some entity failed to act reasonably in the circumstances. This is a subjective question left to the jury to decide. However, context does matter, and they can look at various things to establish the proper standard of conduct including custom, practice, law, and so forth. Therefore, the appropriate standard for driving a truck will inevitably be different than performing surgery. Williams v. Conner, 228 Ill. App. 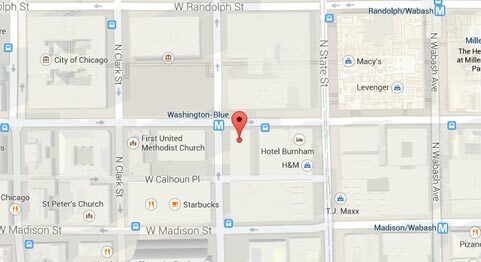 3d 350, 364 (5th Dist., 1992); Illinois Pattern Jury Instructions Civil 10.01. There are four things that every negligence lawsuit must allege and prove to be successful. First, the defendant owed the plaintiff a duty. Second, the defendant breached that duty. Third, the breach caused the plaintiff injury. Fourth, those injuries resulted in economic or non-economic damages to the plaintiff. Illinois Pattern Jury Instructions Civil 21.02. One dimension of negligence that is particularly relevant to truck accidents is negligence per se. These are acts deemed negligent because they violate a law. To win on a negligence per see action, you must allege and prove that the defendant broke the law, you were injured, the injury was of the kind meant to be prevented by the law, and you were in the class of people intended to be protected by the law. Examples of negligence per se in Illinois include driving a car without working lights or brakes. So there are the laws, but I am sure you are also thinking, “Great! But what is my Illinois truck accident case really worth?” This is not a crass question. Accidents pose very formidable expenses and life changes that must be accounted for mainly if the other party was responsible. However, while we want to help you gauge what a lawsuit might help you recover financially, we also want to caution you that every case wins or loses on its own two feet. The facts and circumstances of your accident will dictate how much you recover-not what others in the past have achieved. Nevertheless, the past can be very influential, especially to a jury. Therefore, here are some facts about Illinois truck accident awards that might help you orient yourself towards what might be possible. The state average for truck accidents is well north of one million dollars. State median returns for truck accidents roughly range between $50,000 and $60,000. 18% of all cases recovered more than $1,000,000. 28% of all cases in Cook County recovered more than $1,000,000. While the above statistics are a good start, after working with many accident victims, what we find is more helpful is to line up your injuries with those of past plaintiffs. This should give you a more accurate prediction of how much you might recover in court. Here are a bunch of cases categorized by injury type. Review the ones that you find most applicable to your accident. Then, give us a call so that we can explain to you how Illinois laws affect your compensation and what you need to do to maximize your recovery. Do I need a lawyer to help with my truck accident case? What is involved in hiring a truck accident lawyer? What type of evidence can be helpful in trucking accident cases? How long does it take for a truck accident case to get resolved? How are trucking cases different from other types of personal injury cases? Learn the in's and out's of your case from an experienced attorney who wrote the book on Truck Accidents.